Water damage is one of the most prevalent dangers homeowners throughout America face. When a water damage disaster occurs, the first thing that you should do is contact a water damage cleanup specialist. Water damage professionals are certified and insured in the cleanup and restoration of damaged properties after floods, pipe bursts, appliance leaks, and much more! The following statistics prove the importance of active water damage prevention steps. 14,000 homeowners in the United States experience a water and flood damage emergency every day. 98 percent of basements will experience some amount of flooding in their lifetime. 10 percent of homes in the United States have leaks that waste 90 gallons of water per day. 37 percent of US homeowners claim to have suffered losses from water damage. Approximately one trillion gallons of water is last from water leaks in the US each year equaling the annual water use of Los Angeles, Chicago, and Miami combined. With these telling facts in mind, your efforts in water damage prevention are critical. Below are four methods of water damage prevention that every homeowner should employ. 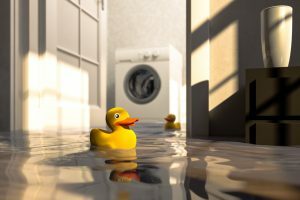 Should you find yourself in a water damage emergency, however, don’t hesitate to call the pros at Valleywide Restoration in Chandler, Arizona. Your water bill is one of the most telling indicators of whether or not you may have leaks that lead to water damage. You can know this is a possibility is your water bill spikes unexpectedly. You can also perform an experiment with your water meter if you need to know immediately. To do this, all you need to do is check your water meter, turn off the water to your home, and then look back in a couple hours to see if your water meter registered any more water usage. If it does, you probably have a water leak. Failing to keep their rain gutters clean is a common mistake people make that leads to water damage. If you allow leaves and debris to build up in your gutters, water may overflow in those parts causing water to drain in undesirable places around your home that could be damaged by the water. You should regularly check your water pressure to make sure that is it is remaining at safe levels. Obviously water pressure that is too low is an inconvenience, but the real concern is when your water pressure is too high. High water pressure can lead to burst pipes which can lead to significant water damage to your home. Regular plumbing inspections are a simple way of preventing water damage. These plumbing inspections will allow you to detect leaky pipes and other problems early before they become serious. Doing this will give you peace of mind about the condition of your home and your protection against water damage. By following these steps up above, you don’t guarantee that your home will be safe from water damage, but you undoubtedly decrease the odds of finding yourself among the 37 percent of US homeowners who have suffered losses from water damage. 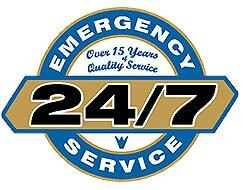 Nonetheless, Valleywide Restoration is here to respond quickly and professionally to any and all of your water damage needs.